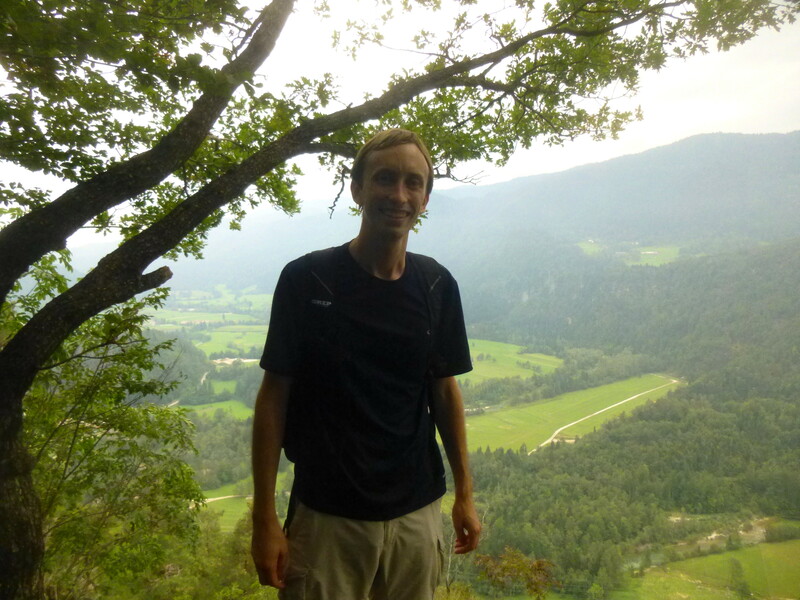 Though America remains the focus of Live and Let Hike, why not do a brief write-up on a short hike I completed last month from much further afield? 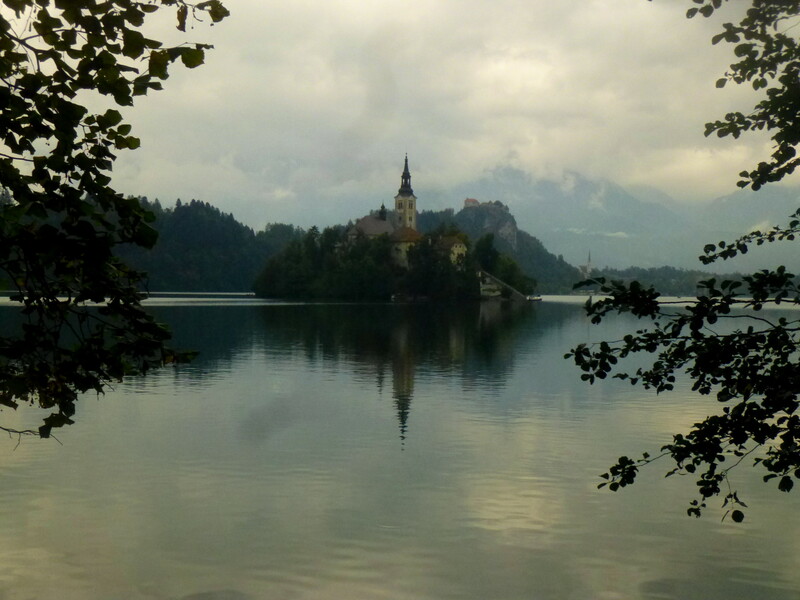 Despite its petite size, the mountainous European nation of Slovenia presents considerable hiking opportunities, boasting access to the southeastern fringe of the world-famous Alps. 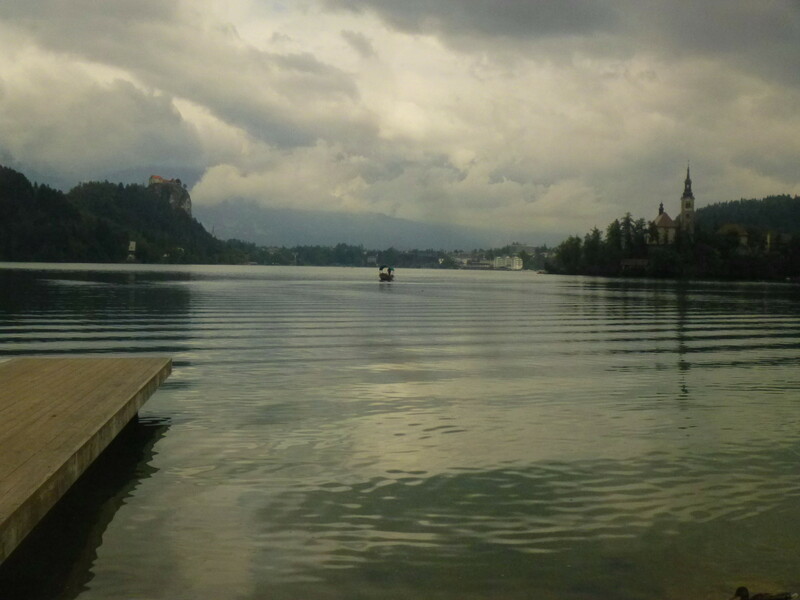 Arguably the most stunning sight in Slovenia, the area around beautiful Lake Bled offers a great introduction to what the country has to offer. 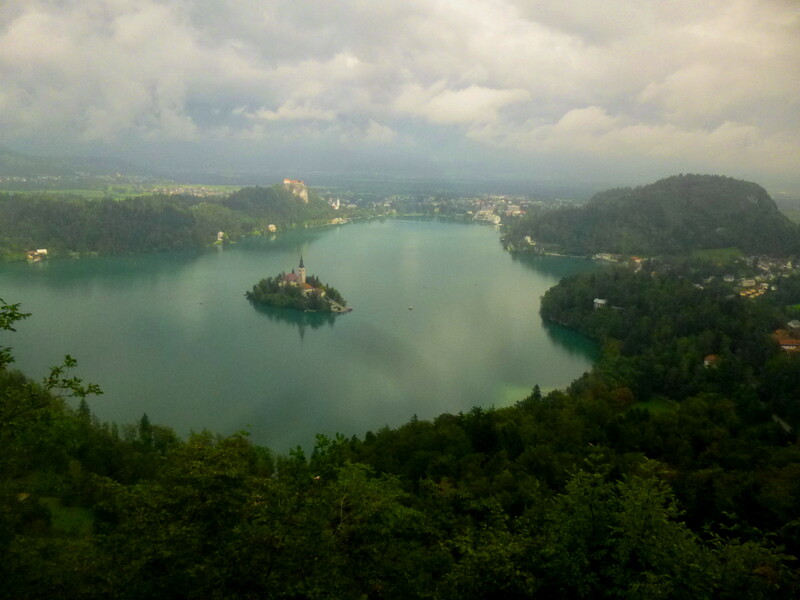 The lake, celebrated for its striking blue-green waters and the picturesque Bled Island, is nestled among nearly a dozen lush green hills, all less than 2 hours’ hike from the sandy shores. 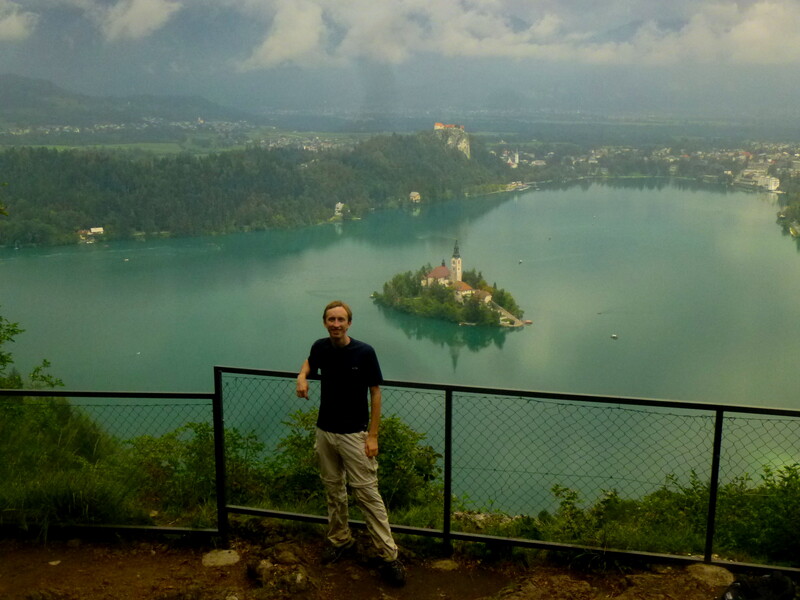 One can find perhaps the most stimulating vistas on a 2 ½- to 3-mile trek up Mala Osojnica and Ojstrica. From the trailhead along Kidriceva cesta, the path passes a couple small ranch houses before merging with a wide gravel road. The path eventually turns to dirt as it climbs through the trees, skirting the southern flank of Osojnica for maybe 2/3 mile, before reaching a tree-covered pass between Osojnica on the left and Ojstrica on the right. Head left first, on the path marked “Osojnica,” a steep but brief climb that continues for around 1/3 mile before cresting another forested pass. Here the path splits again – straight to Velika Osojnica (Large Osojnica) and left to Mala Osojnica (Little Osojnica). Though higher (2,480 ft. to Mala’s 2,247 ft.), the summit at Velika Osojnica is shrouded by forest cover, affording no real views of the lake or mountains beyond. From here it is about 10 minutes to Mala Osojnica. Note that there is an identified trail here, though ascending the larger and more traceable 4-wheel drive road leads to the same place. 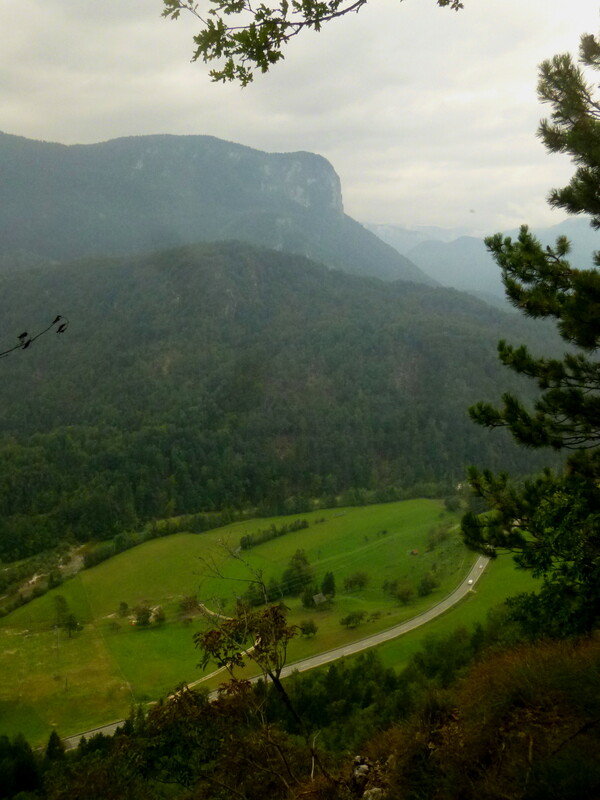 Atop the hill, one can take a right and continue for roughly 150 yards to a viewpoint with a bench that overlooks Bohinj Valley. But the real attraction here is the vista 100 yards or so downhill to the left, a jaw-dropping lookout marred only by the ugly chain-link fence protecting visitors from an unfortunate fall. 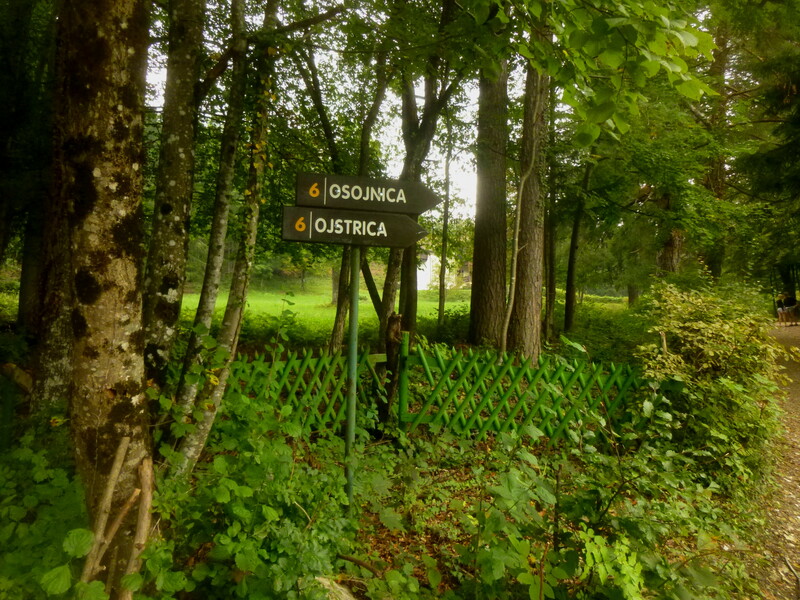 After absorbing the fantastic view from Mala Osojnica, a trip to Osojnica’s smaller cousin Ojstrica may seem repetitive. 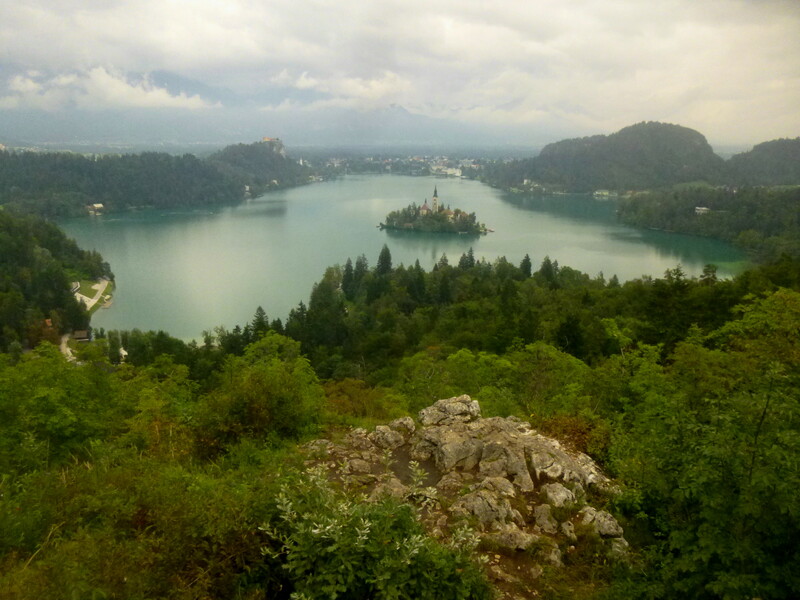 However, despite similar views of Lake Bled, the viewpoint has a distinctly different feel – a mangled, rocky outcropping accessed via a single, switch-backing path. There is only one way (that I could find) back down Ojstrica, a short hike back to the ridge between Osojnica and Ojstrica. From here, follow the path back down toward the trail’s start, but turn left at the sign indicating “Bled Camping.” The trail descends steeply through the woods, spitting out at the clearing just east of the Bled campground after about 2/3 mile. 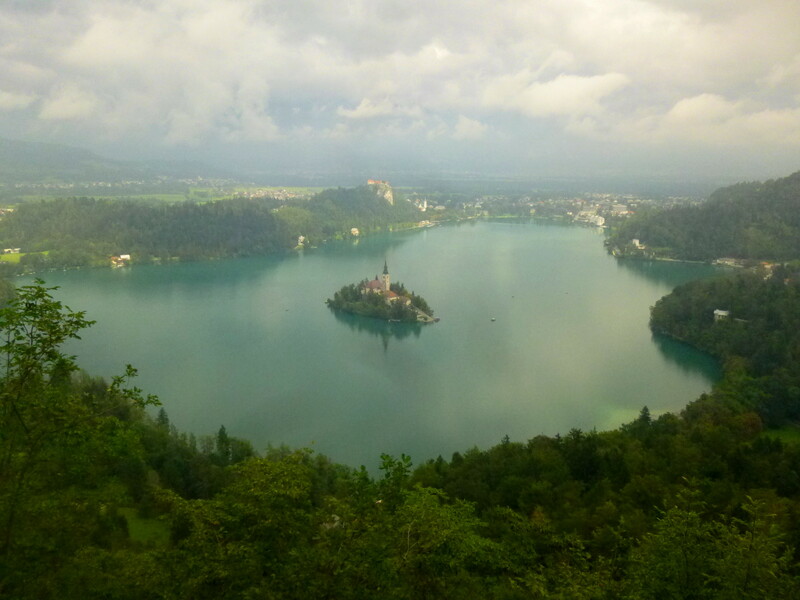 This entry was posted in International, Slovenia, Strenuous Hikes and tagged Bled, Bohinj Valley, Kidriceva cesta, lake, Lake Bled, Mala Osojnica, Ojstrica, Osojnica, Slovenia, Straza, Velika Osojnica. Bookmark the permalink.